Finally, the skeleton is out of the Arab Spring closet via an article in Foreign Policy written by Jonathan Spyer. 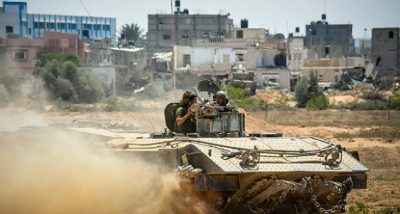 Israel has been at war for total dominance in the Middle East and, according to the senior research fellow at the Global Research in International Affairs Center (Rubin Center) and Jerusalem Post columnist, Tel Aviv is about to engage in Syria to confront Iran. The answer to the question is not a positive one, for in the west the game is pretty much rigged. Citizens are either distracted by local crises, or they are uneducated and apathetic toward global geopolitics. In short, we’re ill prepared to do anything at all. This is one reason why we see globalist magazines like Foreign Policy, and even leading politicians, unafraid to simply lay out the plans. These revelations we are seeing are a consequence of our own indifference, and the solutions to Israeli or US encroachments are not easy for people to accept. Where Tel Aviv is concerned, the only mediation that will get its attention is force. In my opinion, until the international community (or Russia perhaps) slaps Israel down (and hard) these crises will only escalate. Israel had the key role in Arab Spring, and in the regime change targeting Assad and Syria. As a result, millions of people are now displaced or worse. It’s high time that these Zionist autocrats face the music. The alternative will be a cataclysm. Phil Butler is a policy investigator and analyst, a political scientist and expert on Eastern Europe, exclusively for the online magazine “New Eastern Outlook”.